Buying brand new video games was once the highlight of just about every gaming enthusiast the world over. There was something about cracking into a new case to find a fresh, shiny, unmarred game within. That still remains, of course, as not much has changed within the process of opening a game over the last several years (except for ever-vanishing instruction booklets, which is an editorial I’ll save for a later date). Today, however, there’s a new sense of bitterness that comes with buying a new, unopened video game: first-time buyer passes. I’m talking about those codes publishers slip into the interior of modern games as a way to ensure they make money off of the used and secondhand gaming market. 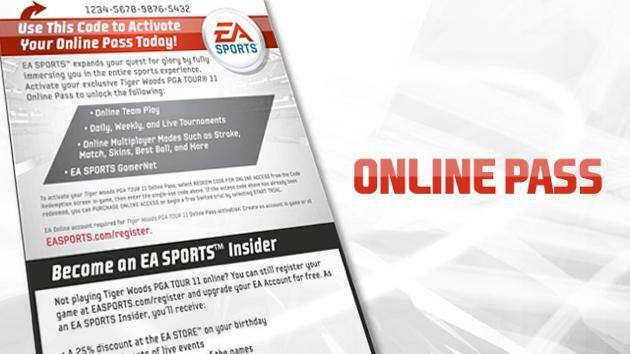 If you buy, say, any EA Sports title over the last two years, you’ll need to enter the Online Pass code within in order to even consider venturing to the internet for a head-to-head match. If you buy the game used, the code will likely either have already been entered or be missing completely. You’ll then have to pony up some additional cash in order to take your experience online. And, as stupid as that stuff is, I get it. I get that companies are looking to make money off of every copy sold. It’s a pain, and it’s definitely a blow to the used game market, but I understand the corporate logic behind the plan. When you buy a new game and you finally get home in order to play it, the excitement is downright palpable. There’s nothing quite like booting up a game and sitting down to your first session. You’ve probably been looking forward to it for weeks, months or even years, and you’ve more than likely geeking out about it for hours. What’s got me frustrated with this whole thing is that these game codes are now becoming a mandatory hurdle between cracking a game open and that first play session. Case in point: Batman: Arkham City. If you buy this game new, you’ll find a code for the optional Catwoman content within the game’s case. This content will be available to all, but only first-time buyers get it as a free part of their purchase. What stinks is that the Catwoman storyline is woven into the main plot of the game. I knew this going in, so I made sure to enter the something-like-16 character code before launching my campaign. Then I had to sit through a nearly 250MB download; that’s probably nothing for people with strong internet connections, but it took me nearly 15 minutes. Look, 15 minutes is a long time. I’m the type of person that hates lengthy logos before title screens. 15 minutes in my gaming world is nearly a quarter of a session. The thing about that Catwoman DLC? Arkham City opens with it. With that in mind, if you don’t have that code, you’ll have to miss/delay the opening segment of Catwoman’s story. Throughout the entire Arkham City experience, Catwoman’s missions weave in and out of Batman’s actions. Not having them feels like a chunk is missing from the game. As far as I’m concerned, first-time buyer passes like this one present a lose/lose situation for consumers. First-time buyers have to deal with impatiently entering codes and downloading DLC before they can hop into that hotly anticipated first play, while secondhand gamers are subject to paying extra for content that was otherwise meant to be free. If this is a sign of things to come, I’m not all that excited. Where do you stand on first-time buyer passes?